Several people have contacted me to ask for advice on building WIG/Ekranoplan models, so I have made some general comments below. WIG is still a relatively small area, so it is not too difficult to research. My best advice is to begin with familiarizing yourself with the various projects (look at The Wig Page), and to consider the different approaches to solving the basic problems of stability. Then read around the subject to consider whether the claims for the technology are likely to be delivered, and what the real issues are that need to be solved. I would suggest that you do a search of the papers and proceedings of the major professional technical institutions (from the UK: The RINA, the Royal Aeronautical Society, The Institute of Marine Engineers, and other institutions around the world). This will give you background to enable you to focus upon a particular configuration and explore the aerodynamic issues that surround it. I have added some further reading suggestions into my web site. There are few plans for working model WIG craft. My WhizzyWig XGE is one of them. If you decide to design your own you will have to ‘scratch-build’ and you should expect a lot of trial and error. I suggest that you familiarize yourself with model aircraft and model boat building techniques - read some magazines, go to model club events, and ask the model builders. Also try to get hold of reprints of the WIG articles that I wrote for Marine Modelling Monthly mentioned in my website from Traplet Publications. WIG models don't glide like aeroplanes, so when the motor/engine stops they stop also. I use electric motors for mine, because they are easier to use than glow-plugs on multi engine craft - Most Ekranoplans are multi-engined, especially those with PAR. This means that you will need bigger batteries than for the equivalent aeroplane model in order to get any sort of flying time. For these reasons you will also need to make the model as light as possible. You need to think deeply about model materials and construction methods. • I recommend that before you invest a lot of time and effort into a complex model which may not get airborne you should experiment with some VERY SIMPLE flying models to see if you can get them to work. 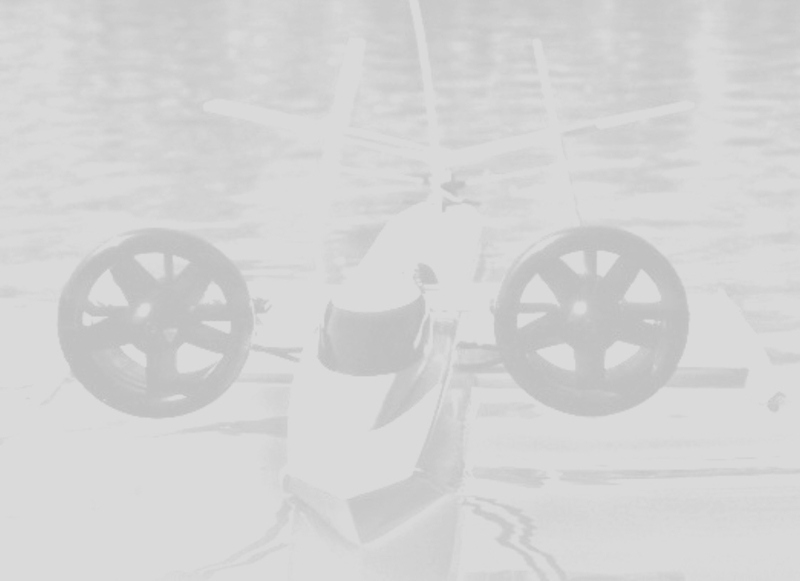 • The aerodynamics and hydrodynamics are the most critical areas – these are what my models set out to explore. Keep the model really simple and don't put too much effort into any other aspects of the model, like appearance or quality of finish. • Remember that a rough working model is better that a fine model that does not work. • Don't expect the model to last forever. Don't build it to be indestructible because it will probably be too heavy to fly, but it will last forever to remind you of the failure! Hope my thoughts help. If you build a model I wish you good luck. Please send me a photo - I shall be very interested to see it.